I’m anxious to read more books, like the Bloodline series, by Rachel Mead. Thanks for the recap! Glad to hear you had fun! 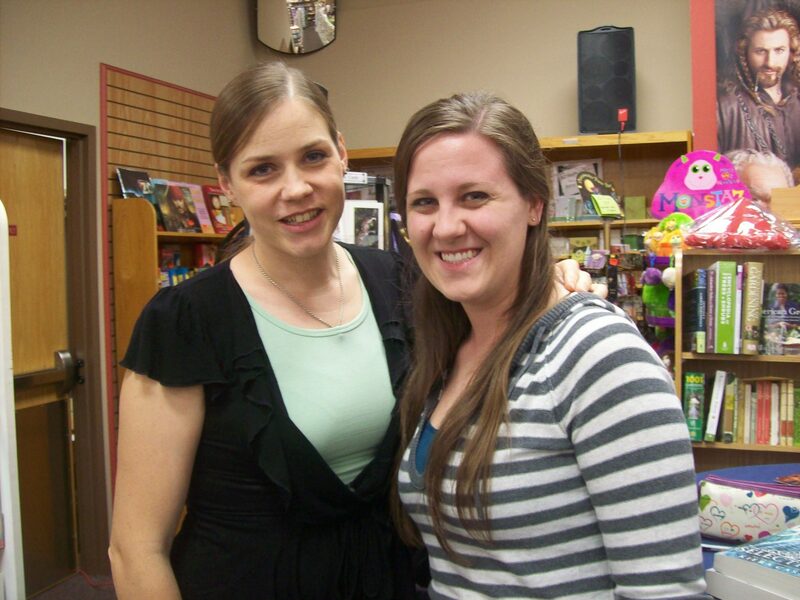 I am so jealous that you have so many great author signings in your area! 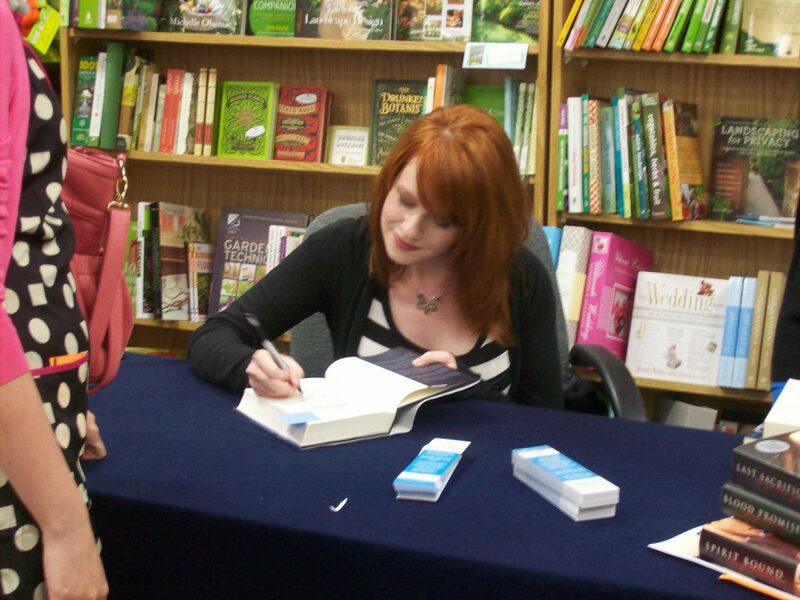 I did get to go to Pitch Dark Days in February, and Fierce Reads is coming next month (hopefully I can go), but I would absolutely LOVE to meet Richelle Mead! 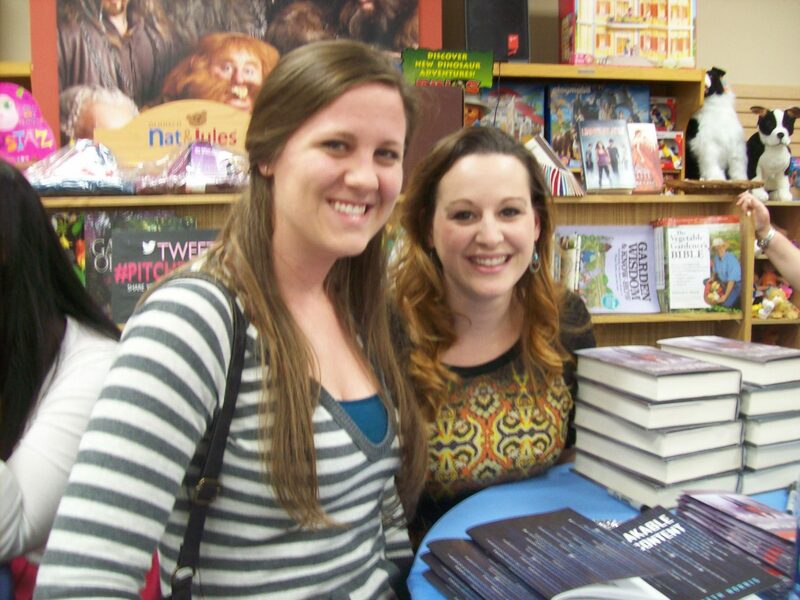 She’s one of my favorite new (to me) authors from last year! 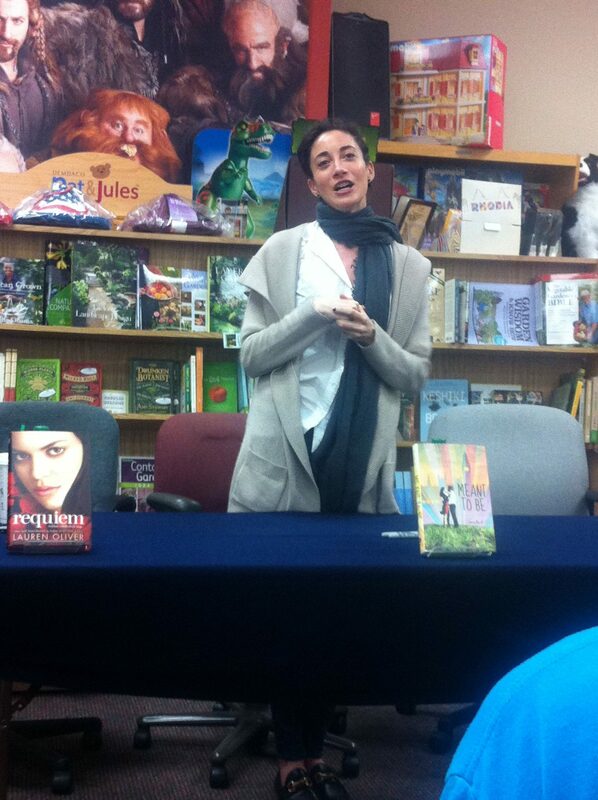 I think that’s really cool that Lauren Oliver introduced the books as the other authors. When I went to Pitch Dark Days, Brodi Ashton and Cynthia Hand actually told each other’s back stories, which was kind of cool. 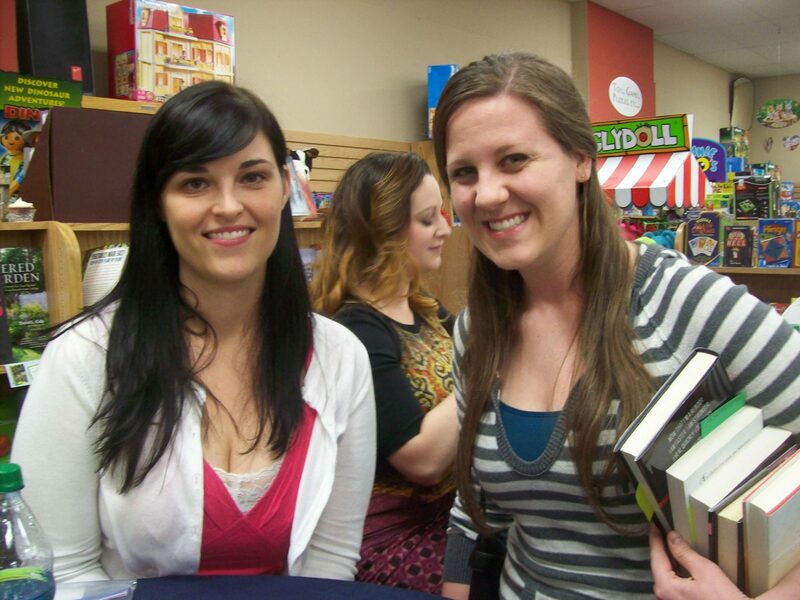 I am a huge fan girl of Lauren Oliver! 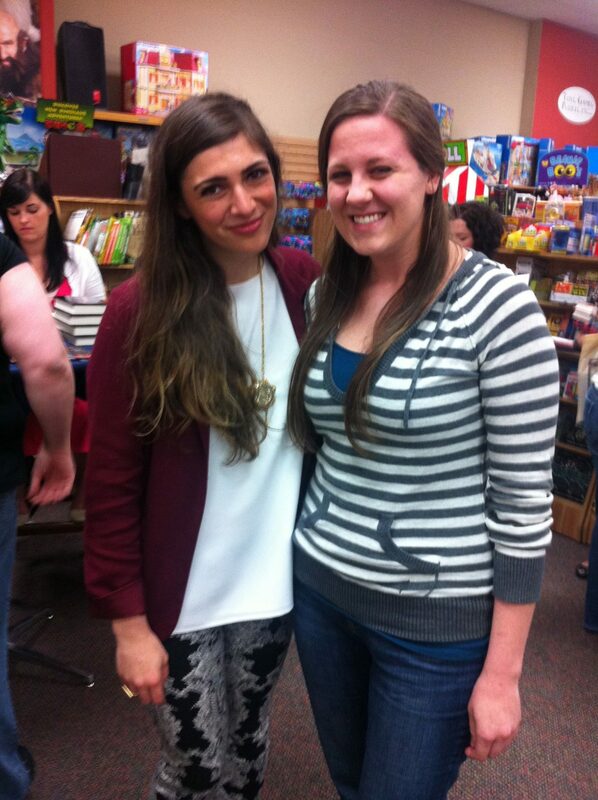 AHHH so jealous you met her! HAHA I love your paragraph about your awkward talk with RIchelle! I would prob be the same way… I put my foot in my mouth a lot. I am going to make it to one of these one day if it kills me! 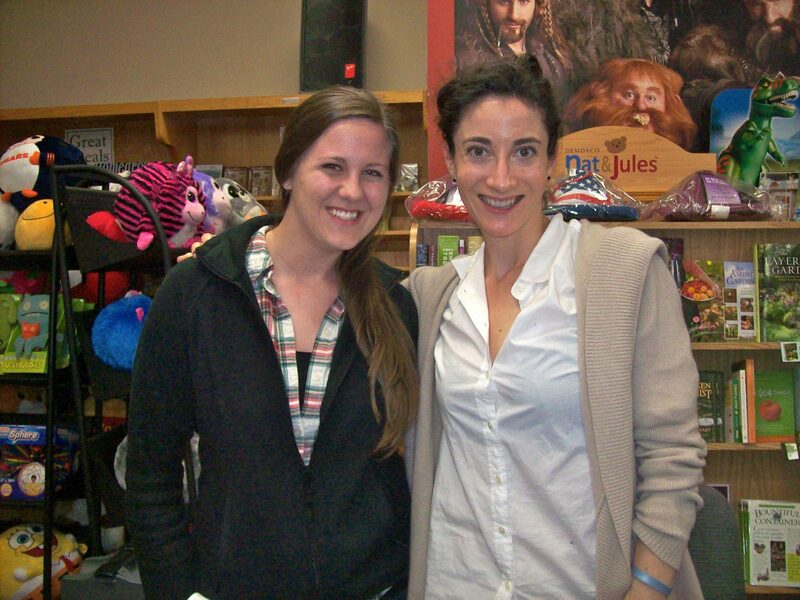 Thank you so much for sharing your photos and your wonderful experiences. Best of wishes! Have a great week! Oh, who cares about pride? I’m sure the authors are geeking out just as much as you are. 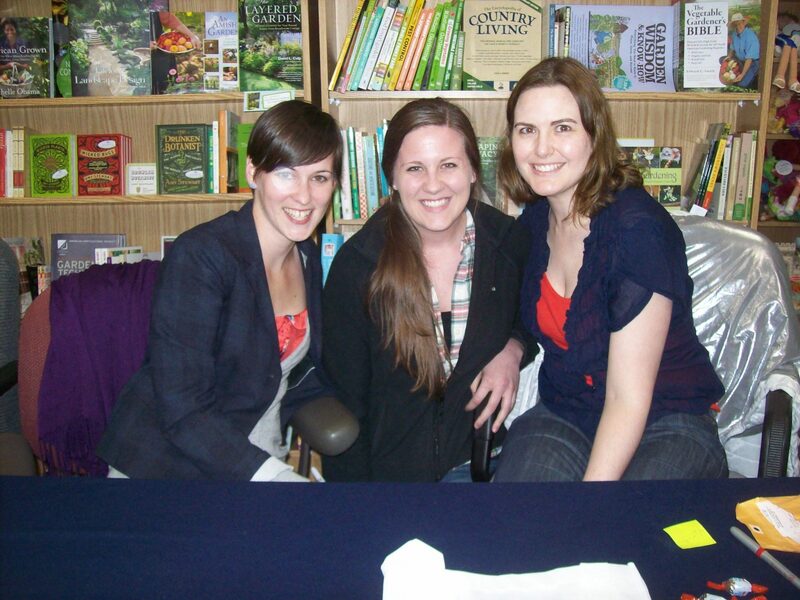 I’ve actually never been to a signing (I know!) so I probably have no room to talk… one time I met a band member from a band I really liked and talked about grilled cheese sandwiches. I don’t know why. Ugh. Hahah. 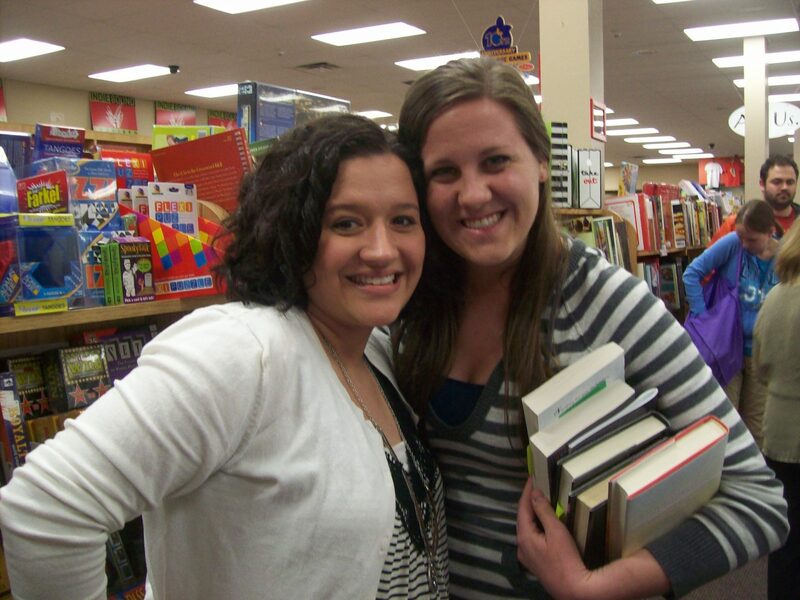 I think your post has convinced me I need to move to a big city with AUTHOR signings! I’m in Texas, so theoretically I’m close enough to drive to a lot of the events in the big cities, but it hardly ever works with school/work schedules, sadly. I love seeing all your pictures and recaps though! You’re so lucky that you have events near you! I have none. I’m not even kidding. None. But I’m glad that bloggers like you put these posts together, so I can live through you! It’s so great that you get to go to so many of these events. It’s also totally nuts that lauren Oliver wrote Before I Fall on her Blackberry, I go crazy writing short emails on my iPhone! Woooow, so many great events! 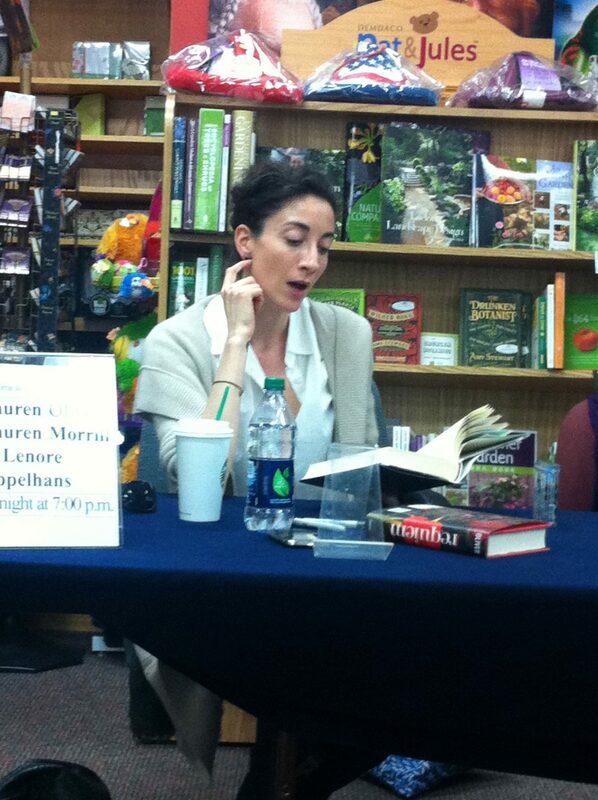 I’m so jealous that you got to see Lauren Oliver. I wish she would come to my city! 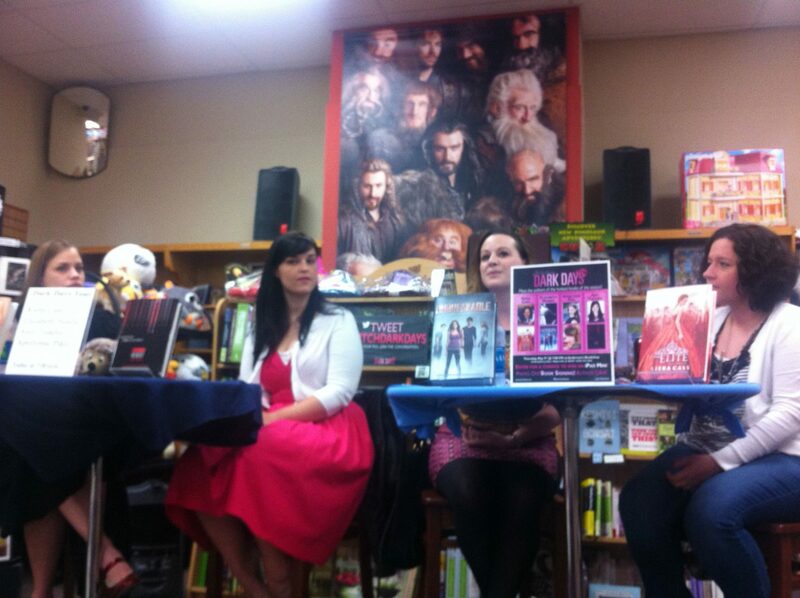 I went to a Richelle Mead event last year, and yeah, it was HUGE! 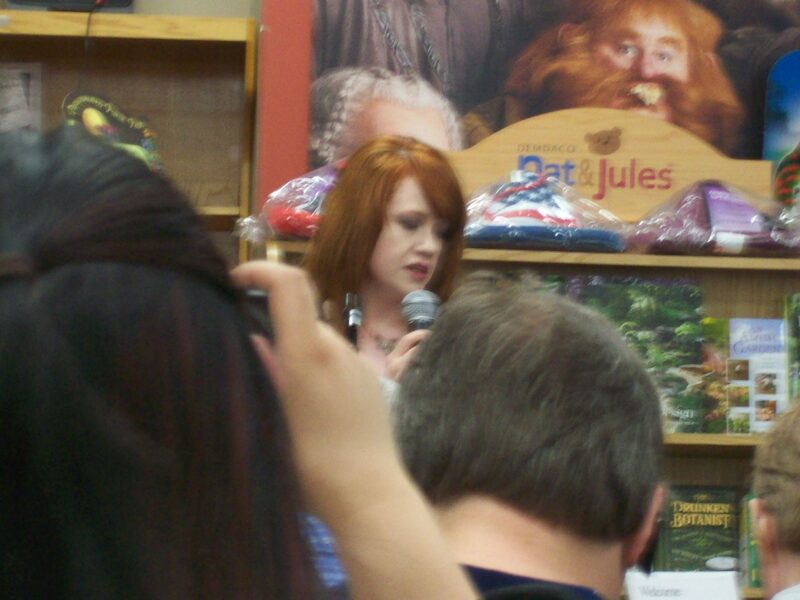 I had no idea she was so popular, but I still haven’t read any of her books (I was accompanying my sister who loves her books). I really want to read Life After Theft and Reboot! I’ve heard they are great. I love Rachel Meeds books! So I’m not surprised that people would drive that far for her! I’m totally dying to read Life After Theft. I’ve heard mixed things about it. BUT SO MANY THINGS SO LITTLE TIME. Haha. 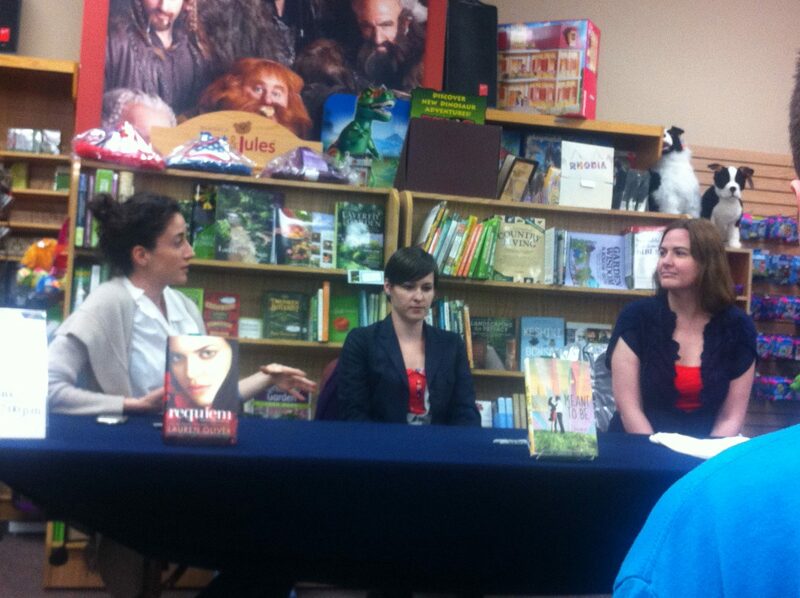 I’m also so bad at talking with authors. I’m so shy, and I can barely say “Hi” and “thanks.” I’m glad I’m not alone in the awkwardness department.